In response to my post about SUP’s and wondering if it is possible to live plastic free, our mum has written something about her thoughts and experiences from the early days of recycling in South Africa. The ‘Conserve Our Resources’ path started for me in South Africa back in 2003 or thereabouts. 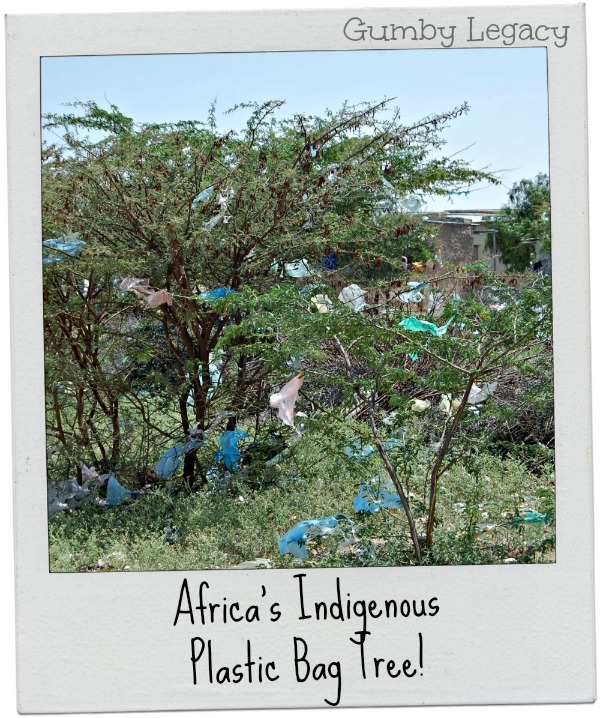 Until then there was a bit of a problem with plastic bag trees, with a Use it, Drop it, Let the wind take it approach in rural areas and townships. I remember a sunny day driving to Pinetown through a squatter camp type township when Bronni remarked (aged about 8 years) that it was such a pity these people needed to live with such a lot of rubbish around them – even in the trees! She immediately proposed that she would ask her teacher (being at a private school where social responsibility was part of everyday life) whether they could have a project where they could take black rubbish bags into this area and help the locals clean up. Suddenly, like a light globe proverbially coming on, she said – but these people could surely do that for themselves – we all get rubbish bags to put it all in! So, 2003 saw the end of free plastic bags, now we needed to pay for them. Unlike those we use in the UK today, they were slightly heavier and reusable. It became the norm to take that treasured plastic bag back to the shop for the next load, or to use it to line the rubbish bin which was much cheaper than buying bin-liners. The supermarkets also had large recycling containers where you could deposit your used bags. From here they would either be sent to be re-worked into polyethylene pellets used to make spin-moulded plastic containers like Tupperware, or for local crafters to fashion anything from plaited bags, to hats and even shoes with soles made from recycled tyres! All very colourful with the variety of colourful bags available. Now, of course, most plastic bags are biodegradable and what a mess they can create! Even the two litre milk type bottles found a use as building materials and there is so much more that has been done with them. I know this is going off course on how to use less plastic in daily life but I thought it might be of a little interest. For my part, I no longer print things out, I take pictures of things rather than write the info down, I do reuse anything I can and if possible, buy re-fills rather than new containers of things like coffee, washing powder etc.